Due to recent adverse weather we had to reschedule our screening of ‘The Private Lives of Pippa Lee’. This screening will now happen on the 27th Jan and the film that was due to be screened that night, ‘Katyn’, will now be screened on Wed 31st March instead. Again we apologise for any inconvenience caused and do hope you will be able to join us for Season 4. Why not have a sneak preview below of what we will be watching! Due to potentially dangerous driving conditions the opening night of Season 4 will be postponed until 27th January. We had hoped that with a recent thaw we would be able to proceed however with more frost and ice forecast we feel it would be safer for everyone if we postpone. We are dissapointed but hope that the rest of the season will run smoothly. On the 27th we will screen ‘The Private Lives of Pippa Lee’ as our opening film and will screen ‘Katyn’ at a later date, to be confirmed.If you have any queries you can email ncwfilmclub@gmail.com or you can phone Mary at 087 6877970. We apologise for any inconvenience caused. The Newcastle West Film Club announces its Fourth Season. At fifty, Pippa Lee positively glows with female serenity, the devoted wife of a brilliant publisher thirty years her senior, proud mother of successful twins and a lovely and adored friend and neighbor. But, when her husband spontaneously decides that they should leave New York for a retirement home, and has an affair with someone even younger than she is, Pippa finds her beatific persona unraveling in alarming ways. The truth is, the gracious woman of the present day has seen more than her fair share of the wild side. She has finally found love and security in a family of her own. And now, that cozy world, too, is in danger. In 1939, the Germans invaded Poland; so do the Soviets, taking more than 10,000 officers prisoner. By the spring, they were executed and buried in the forest of Katyn. Women wait: Ana, her daughter, and her mother-in-law live in hope that Ana’s husband Andrej has survived; a general’s wife keeps a stiff backbone when the Soviets demand that she accuse the Germans of her husband’s death; Agnieszka, a prisoner under the Germans, faces imprisonment in the new post-war Poland for saying her brother died at Soviet hands. The corruption of the cover-up poisons the country. 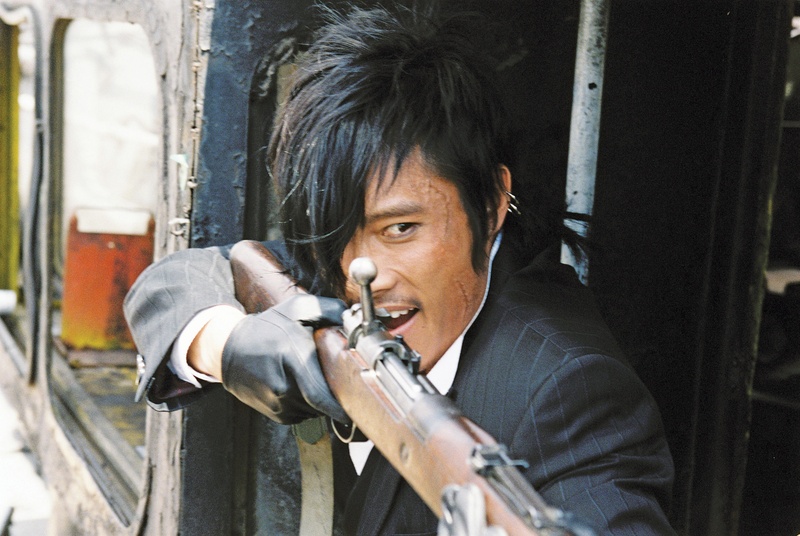 Three exiled Korean adventurers come into violent collision during two simultaneous assaults on the same train, and then engage in a mad cross-country race to secure a stolen map which they hope will lead to the fulfilment of their dreams, whether it is to get rich fast, to exorcise the past, or to wreak revenge. In pursuit, are an international syndicate of bandits, some double-dealing drug dealers, and the amassed forces of the Japanese imperialist army – but no odds will prevent this trio from having their final three-way showdown, even if they must outride and outgun everyone else to get there. Oskar, a bullied 12-year old, dreams of revenge. He falls in love with Eli, a peculiar girl. She can’t stand the sun or food and to come into a room she needs to be invited. Eli gives Oskar the strength to hit back but when he realizes that Eli needs to drink other people’s blood to live he’s faced with a choice. How much can love forgive? Let The Right One In is a story both violent and highly romantic, set in the Stockholm suburb of Blackeberg in 1982. Thomas Mollison moves to a new town with his family, including pregnant mother Maggie and an autistic brother. He desperately wants to fit in at his new high school, but finds it hard. Having a brother on the “spastic” bus doesn’t help. Until he befriends Jackie Masters, an alarmingly beautiful girl with a compassionate heart. Antoine Sforza, a thirty-year-old young man, left his village ten years before in order to start a new life in the big city, but now that his father, a traveling grocer, is in hospital after a stroke, he reluctantly accepts to come back to replace him in his daily rounds. Too blunt, not in harmony with the locals, he offends them more than he serves them. Fortunately Claire, who has more business acumen, helps him to improve his skills. On the other hand, the relationships are tense with his brother François and even worse with his father, who despises him. So when the latter is back in the village, the situation deteriorates.